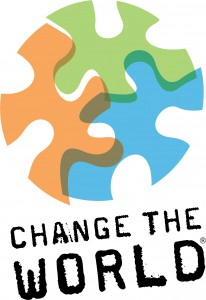 Change the World is a powerful cross media production that enables ordinary Australians (who want to make a positive difference in the world) to realise their dreams. Throughout this production, we follow the challenges, the struggles, the seemingly impossible aspirations of up to 12 ordinary Australians who are given the chance to go out into the broader community and make a significant and positive impact in the world. Through online participation and cross media platforms (including a feature documentary), friends, family and supporters will engage with the ‘roller coaster journey’ our world changers face. It’s all about overcoming the real challenges of making ‘real’ change in a real world. Throughout this journey we track the concerns that many social change and business leaders have about the future. These leaders will collaborate with our selected World Changers….to help each understand the other and draw from each others strengths. This unique mass media vehicle captures the realities of making real change, and delivers the vision to all Australians in an entertaining and meaningful way. This is all about collective action enabling real positive social change.